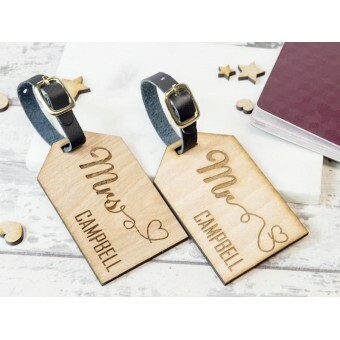 Our elegant Bride & Groom wedding hangers are personalised just for you! Not only will..
Our elegant Bride & Groom wedding hangers are personalized just for you! Not only will..
Laser cut from 3mm acrylic. 42cm x 23 cm approx. ..
Laser cut from 3mm plywood. 42cm x 23 cm approx. .. Wooden Ring/ Trinket Box - 4cm x 2.5cm- Personalised wooden ring/ trinket box - Siz..